Senate Judiciary Chairman Chuck Grassley and GOP member Lindsey Graham claim that Barack Obama’s former National Security Adviser Susan Rice sent a strange email to herself on January 20, 2017, the day Americans celebrated Donald Trump’s inauguration as the 45th President of the United States. Rice’s email to herself on her last day in office documents a January 5, 2017 Oval Office secret meeting attended by President Obama, former FBI Director James Comey and former Deputy Attorney General Sally Yates regarding the spying operation on Donald Trump’s campaign and later President Trump’s transition teams. 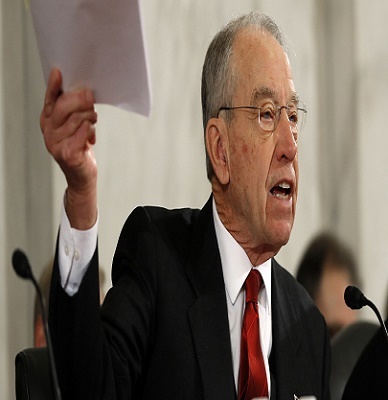 Senate Judiciary Committee Chairman Sen. Charles Grassley, R-Iowa, holds copies of letters he would like answered by former members of the Obama White House staff. As part of their continued efforts to conduct oversight of the Federal Bureau of Investigation (FBI) and the Department of Justice (DOJ), Chairman of the Senate Judiciary Committee Chuck Grassley (R-Iowa) and Chairman of the Senate Judiciary’s Subcommittee on Crime and Terrorism Lindsey Graham (R-South Carolina) discovered a partially unclassified email sent by President Obama’s former National Security Advisor (NSA) Susan Rice to herself on January 20, 2017 – the day of President Trump’s inauguration. Rice – who has been labeled in the past as a compulsive liar — appears to have used this email to document a January 5, 2017 Oval Office meeting. Grassley and Graham were struck by the context and timing of this email, and sent a follow up letter to Susan Rice, who participated in several White House cover-ups including the ill-fated Battle of Benghazi, the Bowe Bergdahl terrorist-trade, and others. “It strikes us as odd that, among your activities in the final moments on the final day of the Obama administration, you would feel the need to send yourself such an unusual email purporting to document a conversation involving President Obama and his interactions with the FBI regarding the Trump/Russia investigation. 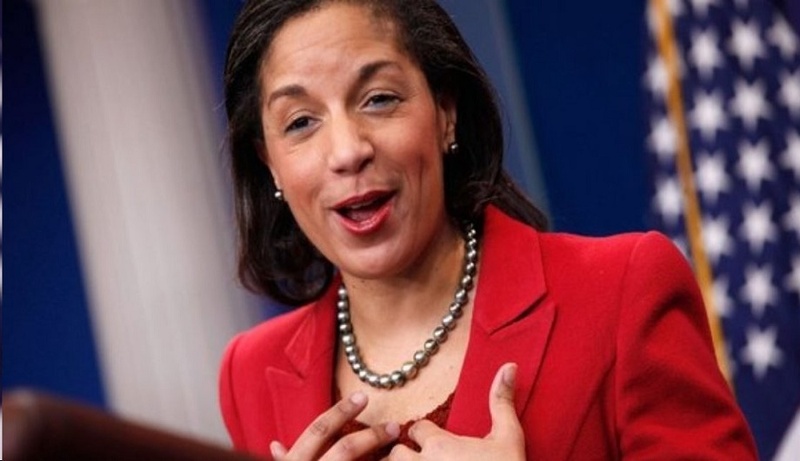 Grassley and Graham have asked Ambassador Rice to answer a set of questions by February 22, 2018 so the committee may further assess the situation. The full text of their letter is below. 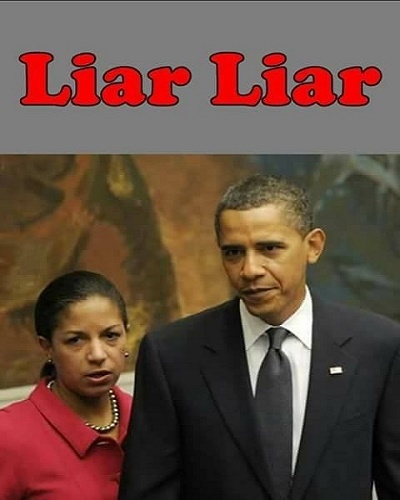 A recovered email written by Susan Rice to herself has opened the door to more questions about the co-conspirators out to destroy the 45th President. The Senate Judiciary Committee has a constitutional duty to conduct oversight of the FBI and the broader Department of Justice. Part of that duty involves ensuring that law enforcement efforts are conducted without improper political influence. Accordingly, the Committee has been investigating the FBI’s relationship with Christopher Steele during the time his work was funded by Hillary for America and the Democratic National Committee, as well as the FBI’s reliance on his unverified third-hand allegations in the Bureau’s representations to courts. You wrote that President Obama stressed that he was “not asking about, initiating or instructing anything from a law enforcement” Did President Obama ask about, initiate, or instruct anything from any other perspective relating to the FBI’s investigation? Thank you for your prompt attention to this matter. Please contact Patrick Davis of Chairman Grassley’s staff at (202) 224-5225 or Lee Holmes of Chairman Graham’s staff at (202) 224-5972 if you have any questions.